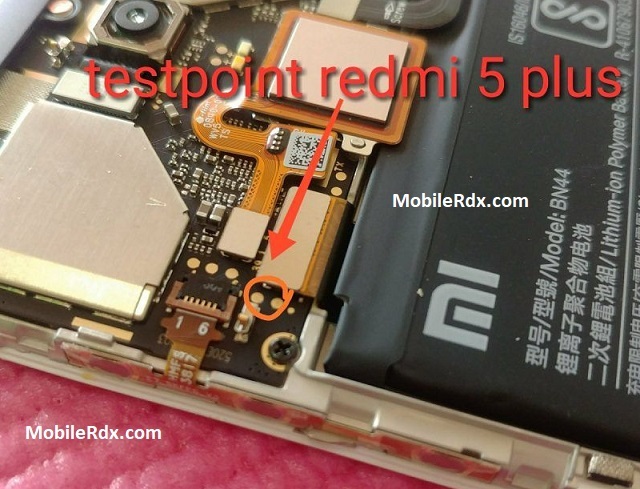 This article shows you the way to bring Xiaomi Redmi 5 Plus into Test Point mode which is formerly known as Emergency Download (EDL) mode. Despite it is an advanced method, some users still prefer to use this technique to by-pass the need of officially unlocked bootloader. There might be a situation when your device got bricked or in bootloop state, but the bootloader has not been unlocked yet. Hence, this situation will force you to deliberately use Test Point method. It would be impossible to unlock the boot loader since the device is bricked or is bootlooped. Unluckily, Xiaomi developers have removed EDL mode functionality since MIUI 7.x on most recent devices. However, there will be always MIUI fans who try their best effort to find a workaround and come with solution. However, this method is risky since it requires opening the case. Therefore, this method is not recommended for novice users. A Xiaomi Redmi 5 Plus device. A really brave, brave heart. A Windows-based PC/laptop. Use a 64-bit system if you can. Download latest Mi Flash tool. Download Qualcomm USB QDLoade driver (for just-in-case scenario). Download MIUI Fastboot ROM (.tgz) file (Optional. Only if you want to flash MIUI). Please make backups if your device is still normal (not bricked or bootloop). This method requires you to disassemble your phone. It is very recommended to take pictures of what you disassembling each time as you go. That way you won’t be lost when you re-assemble the phone’s parts again. Always proceed with caution. Do not to touch any of the contacts on the speaker or the cable. Oils and water can damage them and interrupt the connection. Therefore, an anti-static band and tools will come in handy. Proceed responsibly! We hold no responsibility of any risk of damage. Please firstly read the article thoroughly before then implementing the steps. Make sure that you understand of what you are about to do.